The Otter River Sportsman´s Club (ORSC) is one of the most active sportsman’s clubs in Worcester County. The club is dedicated to safe responsible hunting, wildlife preservation, conservation of land and sportsman´s education. The ORSC is located on 115 acres of plush land, with 95 acres of forest stewardship in the Otter River section of Templeton, Massachusetts. The forest is a favorite among local hunters because it is home to moose, deer, bear and many other types of game. The ORSC owns a 100 yard pistol and rifle range as well as an archery range. The Otter River Sportsmans Club also maintains a strong association with the National Rifle Association (NRA), the Gun Owners Action League of Massachusetts (GOAL), and the Worcester County League of Sportsman’s Clubs. 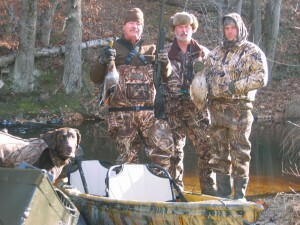 In addition to a large and fertile hunting area, the club also has a private 10 acre pond. The pond is regularly stocked with trout and a plethora of large mouth bass, bluegill, and dace. Fishing is excellent in both the summer and the winter. 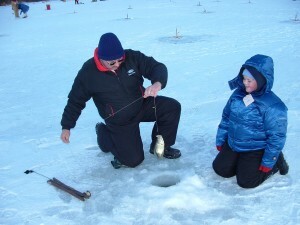 Bass and trout are regularly caught through the ice. ORSC offers a comprehensive venue for your sporting, recreational, corporate, or social events. We offer the use of our 100-seat Indoor Banquet Hall and Bar as well as our 300-seat Outdoor Pavilion and Bar. We also offer food services through our indoor commercial kitchen as well as our outdoor kitchen, barbeque pits, and seafood bake pits. The grounds also have a softball field with an outside refreshment shack, lighted horseshoe pit, and a volleyball court. The ORSC also is a member of The American Chestnut Foundation (TACF). Through selective cutting of our own forest and the replanting of American Chestnut Trees, we plan to not only help revitalize the American Chestnut, but also provide more fertile land to help wildlife feed and grow. If you´re a sportsman looking for a great, active club to be a part of, please contact one of the officers, board members, or current members with any questions you might have. We would be happy to host your next event including summer cookouts, weddings, holiday parties, fundraisers, and winter ice fishing derbies. Please contact us for more information.